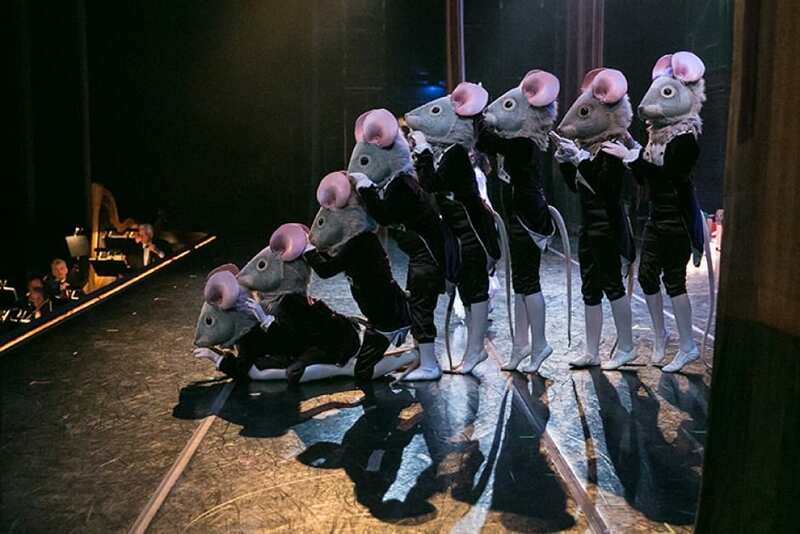 Our December calendar is packed with musical productions and food events, day trips, afternoon ballets and candle teas. Activities to celebrate the holidays are planned almost everyday. There is so much entertainment on the schedule this month that you will need to plan for a long winter’s nap in January! We started the month with The Encore Singers show choir. Their song and dance routines were a great kick-off to this month’s holiday entertainment. A shopping trip to Chapel Hill’s Southern Season followed the next day. Those that shop early were delighted to have this speciality food and gift store on the list. Their gourmet foods, wines, housewares and cookware are perfect for the entertainers on your list. 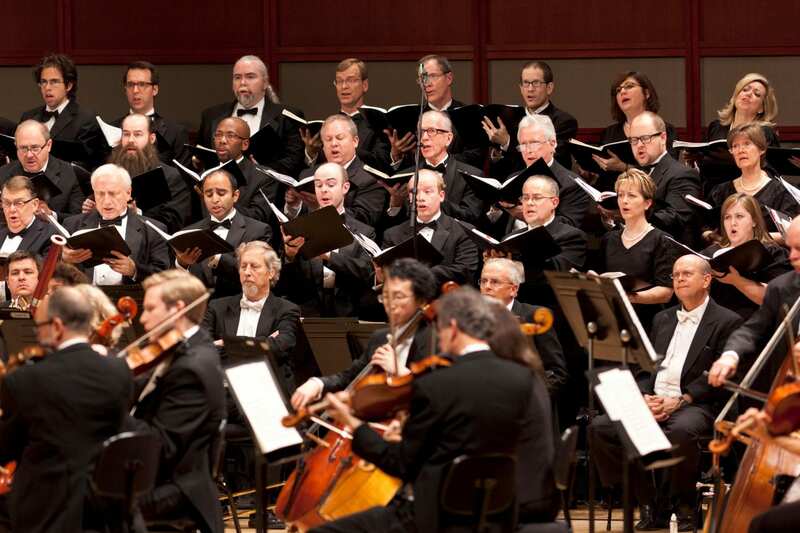 The bus returned from Chapel Hill and was quickly boarded again with those headed to The North Carolina Symphony’s presentation of Handel’s Messiah with the North Carolina Master Chorale at Meymandi Concert Hall. The week ended with a trip to The Raleigh Moravian Candle Tea. Residents enjoyed music, candle-making demonstrations, and of course, their famous Moravian cookies! 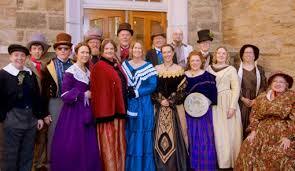 The Oakwood Waits, a neighborhood group of carolers formed in 1984 entertained us with their theatrical talents and their music in early December. The group started in the Oakwood section of Raleigh. 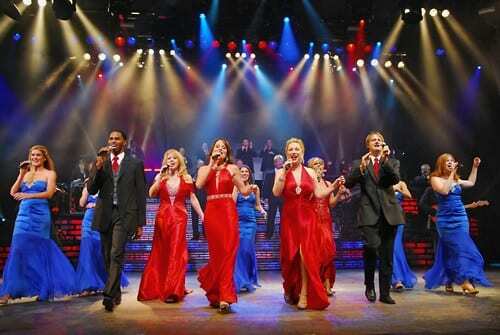 Over the years they have evolved into a chorus of 17 of the finest musicians in the area. Their harmonious a cappella songs and their period costumes are delightful. Next on the calendar, a trip to Tryon Palace, lunch and tour of New Bern on the trolley. 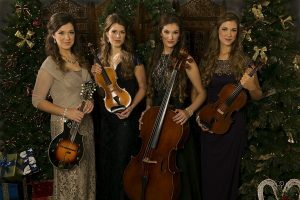 The Hall Sisters, four instrumentalists with exceptional voices, entertained us with their talents the following day. 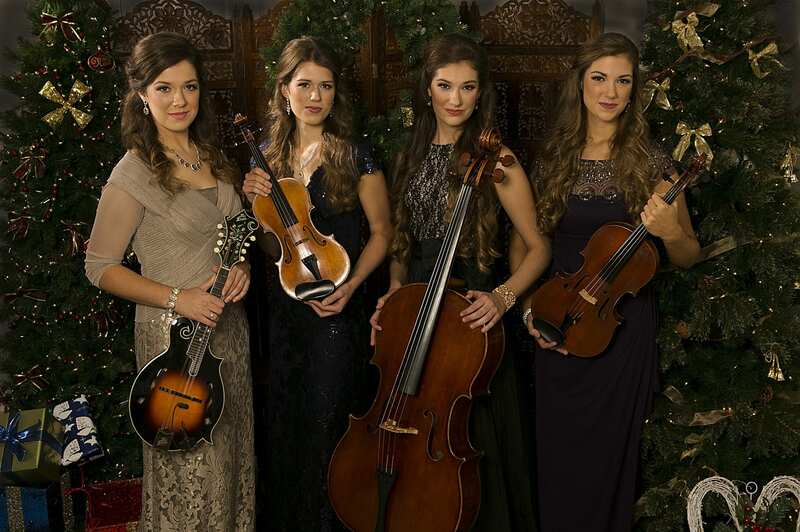 The sisters have appeared at the Grand Ole Opry and Carnegie Hall. The spectrum of their musical abilities was amazing – violin, viola, cello and piano – along with four harmonious voices singing songs of yesteryear, gospel and soul. Their performance will be talked about all month! What a special treat is was to have them on our stage too! The Raleigh Ringers, Pianist Robert Spaziano and a day trip to Bear Creek for shopping rounded out a busy week of activities for everyone. A trip to Selma to see the American Music Jubilee and then The Singers for Goodness Sake were on the calendar this week. And if your shopping is complete, the Resident Life Department and their volunteer elves have an afternoon on the calendar to wrap your packages. The Great Room will be filled with paper, boxes, bows and cards along with refreshments for a Santa-filled event. The week also features our Annual Christmas Luncheon and Dinner for residents and their families. With everyone dressed in their holiday attire, the tree lights twinkling and the poinsettias placed in every corner; it’s sure to be a special day as the harpist and pianist fill the room with your favorite melodies. A trip to Myrtle Beach takes place in the middle of December. We will start early for a drive to South Carolina. The first stop is a visit the Festival of Trees at Ripley’s Aquarium, and then we will enjoy brunch and afterwards see The Carolina Opry’s Christmas Special. On the way home, we will stop for dinner in Calabash, the “Seafood Capital of the World.” Located between Myrtle Beach and Wilmington, the small fishing village is home to over 30 seafood restaurants. The Nutcracker presented by The Carolina Ballet followed by a presentation on Queen Victoria by our favorite professor Dr. Elliot Engle, and a trip to The Washington Duke Inn for lunch as well as an evening with The General Assembly Chorus are also on the calendar. Our pastry chefs are hosting a Christmas Dessert Party. And The Bloomsbury Boys will be bringing their Dixieland Jazz Quartet for a little toe-tapping holiday jingle time. We hope you have left time on your calendar for an exercise class too. The food at every event will be so tempting that seconds will be a must! And The Angus Barn and a New Year’s Eve Buffet and Dance with The Jim Laing Duo are planned for the last few days of the month. It’s a celebration everyday! We invite you to find out what’s in store for 2017 by calling 919-234-7626.